SpaceX’s June mission to the International Space Station (ISS) included a new crew member quite unlike any other. The name of the new addition is CIMON (pronounced Simon, and stand for Crew Interactive MObile companioN) and it’s being sent to act as a mobile autonomous assistance system. Still not sure? Think HAL 9000 in 2001: A Space Odyssey, Moon’s GERTY, and Holly in the BBC’s Red Dwarf. And now, he has arrived. On Monday, July 2, the ISS received its first artificial intelligence robot, and as a bonus, was also graced with berries, ice cream, and brown mice. SpaceX’s Dragon capsule arrived at the station three days after it launched from Cape Canaveral, Florida. “Looking forward to some really exciting weeks ahead as we unload the science and get started on some great experiments,” Station astronaut Ricky Arnold reported to Mission Control after using a robotic arm to grab the Dragon. Of course, the key to those experiments will be CIMON, which was developed by Airbus and Germany’s DLR space agency, and powered by IBM’s Watson supercomputer. 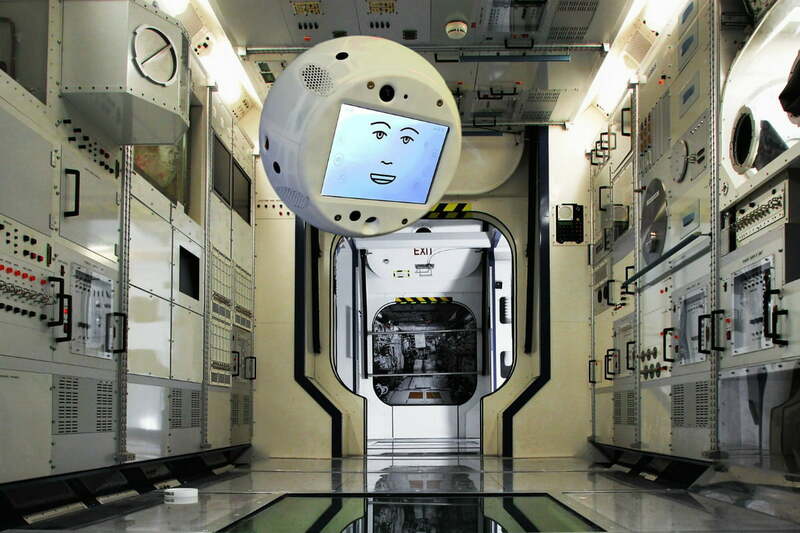 CIMON will be the first form of artificial intelligence to arrive on the space station, where it will aid the astronauts with their research work and presumably become their buddy, as well. CIMON is about the size of a volleyball and has a display built in. It can see, hear, talk, and comprehend, and its A.I. smarts mean that the more it interacts with crew members, the more abilities it will develop. Fourteen built-in fans will enable the 11-pound (5 kg) robot to float in any direction once inside the weightless environment of the space station. The near-spherical robot will be able to turn toward an astronaut when it’s spoken to, as well as nod and shake its head during a conversation. It will even follow an astronaut autonomously or on command. Besides helping the crew, it’s hoped CIMON’s presence will offer researchers an understanding of the benefits and drawbacks of having an A.I. assistant on board. “Spaceflight missions put the crew under a substantial amount of stress and workload, and it is thought that A.I. could provide operational support to crew members,” NASA said. Airbus hopes CIMON will become “a genuine colleague” of the astronauts during its stay on the space station. Current ISS astronaut Alexander Gerst will work with CIMON on three specific tasks, one of which involves performing a complex medical experiment using the robot as an intelligent flying camera. CIMON will also show detailed instructions on what steps to take, displaying relevant text, images, and video on its screen. With reassurances like that, the six crew members must be pretty excited to meet CIMON. It won’t, however, be the first high-tech bot to visit the orbiting research lab. In its 20-year history, the ISS has also hosted Japan’s Kirobo, a floating camera sphere called Int-Ball, and a humanoid robot by the name of Robonaut. Updated on July 3: The Dragon capsule carrying CIMON has been received by astronauts at ISS.